Something wasn’t right. Rebekah was in physical turmoil. After being married for twenty years without conceiving, she finally got pregnant. As the Torah tells it this was an answer to her husband’s prayers. Miracle pregnancies were becoming a tradition in this family as her mother-in-law had Isaac when she was ninety. Still, most mothers-to-be would get anxious when the rumbly-tumblies in their tummies are harsher than normal, not to mention that, for Rebekah, getting pregnant was no easy feat. Whether it was the discomfort alone or that she was afraid she was miscarrying, it was sufficient to send her to inquire of the Master of the Universe. The Hebrew word translated “inquire” is “darash,” and it paints a picture of her going to God with the expectation of getting an answer. I wonder if that’s how most people think of prayer. You judge if I am wrongly judging, but my guess is that the vast majority of prayers prayed involve zero expectation. Most prayers are prayed out of obligation: obligation to religious duty, obligation to parents, obligation to peers, even obligation to self. A smaller percentage arises from sincere desire from people who for one reason or other truly want to pray. They may really want to take the time to talk to God. But do we expect him to respond? Some prayers, of course, aren’t requests, including expressions of worship or thanks. But many prayers are. And yet, how often do we throw up our requests to heaven, more or less satisfied with our utterances, and move on with life? Access to information today has never been easier. Instant search results are so common that it’s difficult to remember what it was like before broadband Internet and Google. Now almost anything we need to know is at our fingertips or in response to our voice. I once successfully used Google to help me find my car in a very large parking lot when I was out of town. Whether it’s how to get a stain out of a particular material or finding the facts about a strange skin rash, we search the Net with the can-do attitude of “It’s got to be here somewhere!” And yet when we “inquire of the Lord,” we don’t expect much. Ask, and it will be given to you; seek, and you will find; knock, and it will be opened to you. For everyone who asks receives, and the one who seeks finds, and to the one who knocks it will be opened. Or which one of you, if his son asks him for bread, will give him a stone? Or if he asks for a fish, will give him a serpent? If you then, who are evil, know how to give good gifts to your children, how much more will your Father who is in heaven give good things to those who ask him! (Matthew 7:7-11). 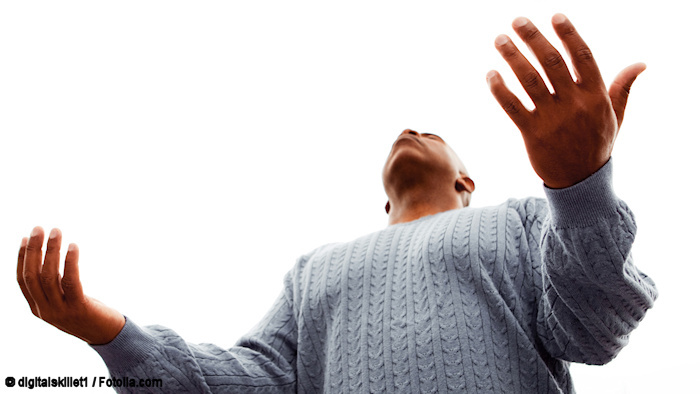 Don’t get distracted by the important sub-topic of unanswered prayer. However you grapple with that, any conclusion that contradicts the Messiah’s teaching here is wrong. Which is why later on we read: “If any of you lacks wisdom, let him ask God, who gives generously to all without reproach, and it will be given him” (James 1:5). James accepted Yeshua’s teaching on prayer. James knew the story of Rebekah. The Master of the Universe delights to answer our inquiries. Now for the big question: How much of our lack of hearing from God is due to lack of expectancy? What are we not hearing because we are not being earnest enough? Why should he respond to half-hearted disinterest? This is not to say that we can manipulate our Father in Heaven into answering prayer. What I am saying is let’s at least start by accepting that he “gives generously to all without reproach.” Praying believing that he answers will certainly result in far more answers than praying believing that he won’t.